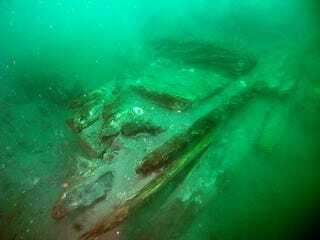 The wreck of a 13th century Mongolian ship that sunk during a failed invasion of Japan has been found. It’s one of two confirmed ships that date to invasions in 1274 and 1281 when armadas of over 4,000 ships were sent by Kublai Khan to conquer the Yuan Dynasty in Japan. Both invasions were thwarted by typhoons, or “kamikazes,’ meaning Divine Wind.